SHOTGUN SHELL FLAP is additional flap for SPITFIRE that can be used instead of the standard one. Elastic loops sewn it three collums onto the surface are designed to carry standard 12GA shotgun shells (the whole flap allows carring up to 21 shells). 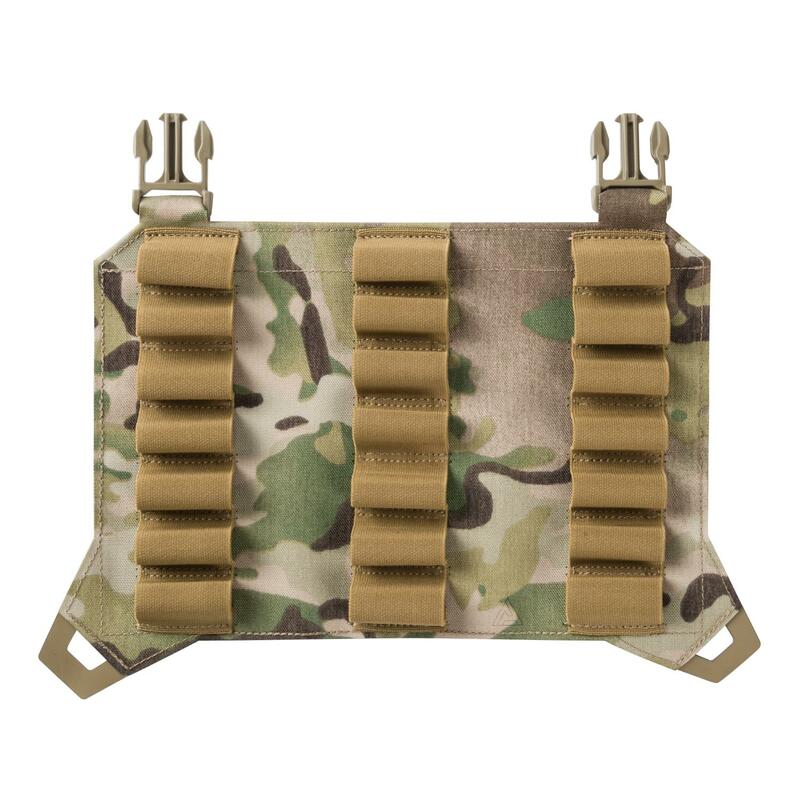 Each collumn can be easily used for different type of ammo, without the risk of mixing them, like it the standard pouch. The flap mounts to the dedicated flap ports on the SPITFIRE or to the chest rig interface via attached buckles for QD configurations.